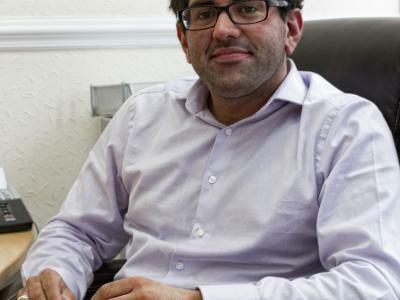 Property is our passion and we have been renting and selling homes in Huddersfield for over 35 years. We have earned a reputation for providing a first class service and the very highest levels of customer satisfaction, delivered by teams of skillful, trained and highly motivated property professionals. - Advertising on the biggest property websites including Rightmove. 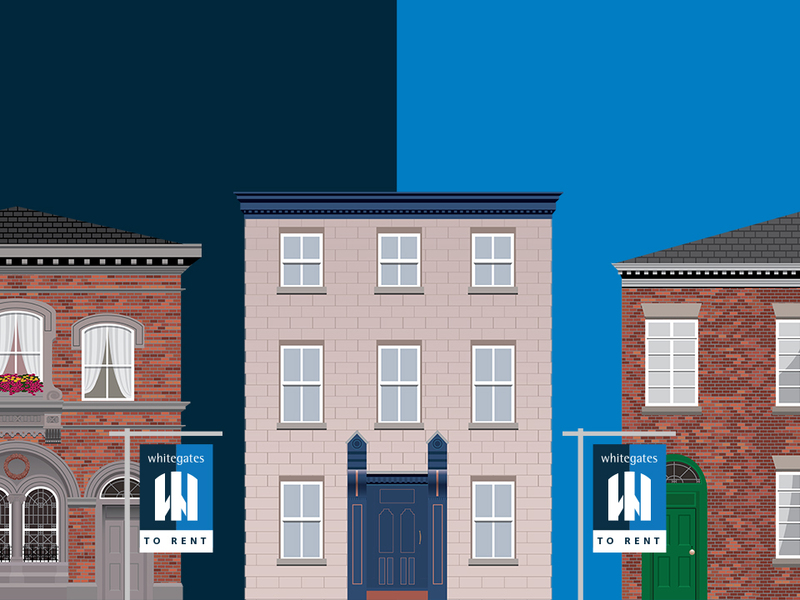 If you are a landlord we are experts in helping you find the right tenant in Huddersfield and beyond. Whether you want us to simply find you a quality tenant or you wish us fully manage your property Whitegates Lettings will help you every step of the way. We offer tailor-made service packages designed to meet the needs of all landlords, with an interpersonal service backed with extensive local and legal knowledge, as well as a Rent and Legal Guarantee option. If you have a query outside of normal business hours, please leave a message with your name, phone number, address and message details any URGENT messages will be picked up and dealt with. 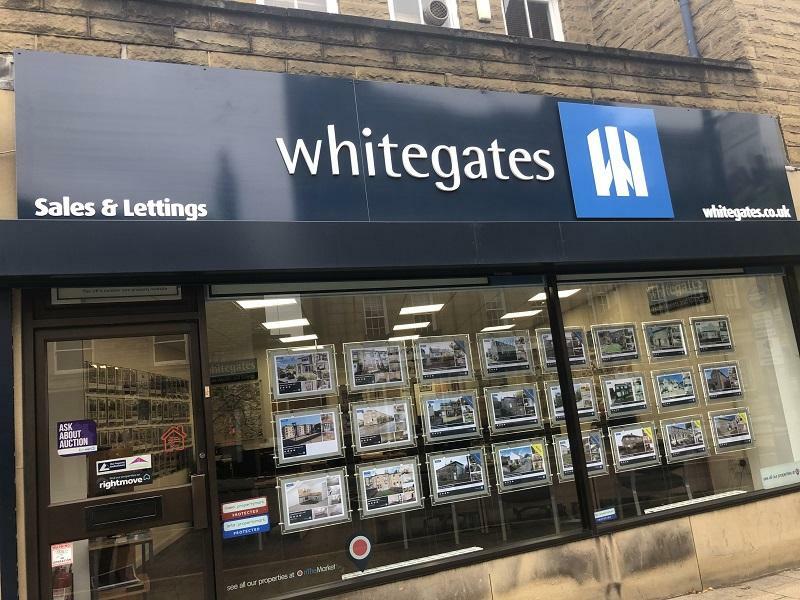 If your property is fully managed, please telephone our office directly to report any issues you may have, or e-mail repairs.huddersfield@whitegates.co.uk If your property is let-only, please contact your landlord directly. An emergency condition is one that affects the habitability of your home such that there is an imminent danger to you and your family or the potential for severe damage to your home. - Smell gas? Please contact National Grid immediately on 0800111999 and notify our office. - In the event of an electrical emergency out of hours, please call 0800404090. For all general electrical issues, please contact our office during our opening hours. - Loss of power. Please contact your energy supplier or National Grid in the first instance as there may be a local power cut. Alternatively, please unplug all appliances and check your fuse box. If you have a payment meter at your property, please ensure this has been topped up. - Loss of water supply. Please contact your supplier in the first instance to ensure no local works are being undertaken. Alternatively, please check your stop-tap is fully open. - Blockages. Clogged drains and WC systems are not usually related to the construction of the house. Please do not flush wipes or other items down WC systems or plug holes as these can cause pipes and drains to block. A plumbing contractor's service will be chargeable in these instances. Excellent service within my tenancy agreement, professional and friendly staff, always quick response on any questions. All the conditions promised were clearly defined on the agreement and kept during the whole contract. I fully recommend to anyone and Whitegates would be my choice again. I joined the team at Huddersfield as Director in July 2012. Since graduating from the University of Nottingham where I studied Finance & Management, I have worked for a number of Estate Agents in the Town, predominantly within the Lettings Industry. I would consider myself as extremely driven and focused on my work. My aim is to please every client that we act for and feel that we offer an excellent service to all our landlords and vendors within our large portfolio of properties. We continually have a great range of houses and flats for prospective tenants and purchasers as well. Please call in and meet our friendly team, whether a vendor or purchaser, landlord or potential tenant we will endeavor to continue offering an award winning service. Emily joined the company after a varied career in estate agency and is currently working with deposit disputes, client leads and landlord feedback. Emily attends rental valuations as well as looking after the staff in the office. Emily is extremely enthusiastic and is brilliant at linking the different sub components of lettings in order to get the best result for her clients. In her free time, she likes attending the gym, spending time with friends and family and relaxing at home when she gets free time. However, most of her time is spent nurturing her little boy and attending his football matches on a weekend. Sharon joined the company as a Lettings Negotiator in 2012. She quickly proved to be a valued member of our team and is currently working in the tenant referencing and move in's department - not an easy job considering she is sometimes moving in 60 tenants a month!! In her spare time, she likes to cook (clean!) and have an occasional drink with friends. After working as a receptionist for 7 years she decided she wanted something different, so entered the world of Estate Agency. Kirstie has taken to the role like a fish to water, she enjoys it that much she's even taking further courses to improve her knowledge! In her spare time, Kirstie likes to go spend quality time with her little girl, watch the football and take long walks with her dog. Katie is the company's Saturday girl and is currently studying her A levels at Greenhead College. When she is not studying she likes to go to the cinema and spend time with her family. Robin is admittedly a Whitegates Oldie! After years of successfully managing various offices up and down Yorkshire Robin decided to set up his own To Let and For Sale Board Company. This has gone from strength to strength however he has missed estate agency so much he has come back as Senior Valuer. Robin is known for his professional, friendly approach and has over 40 years experience within the industry. In his spare time, he very much enjoys a drink or two with his dear (younger!) wife and is also partial to fish and chips! Angela joined the team as a Sales Negotiator in July 2017, predominantly from a sales background Angela has already proven to be a valuable member of the team. Angela loves spending any free time with her young daughter who definitely keeps her on her toes! Her favourite times are sat in the sunshine with a nice glass of something cold, surrounded by friends and family!! Angela joined the team as a Sales Negotiator in April 2018 and comes from a background of Sales, Finance and Customer Service. She has previous experience of working within estate agency and has even put her hand to selling a car or two! She has a passion for sales and likes a tipple or two with friends when she's not looking after her two young children. Starting her career as a hairdresser but found her love for property when she started buying and selling in her early 20s. Katy is new to the team but has been working in Estate Agency for over 11 years, in that time she has worked in administration and sales and has gained a wealth of knowledge about the industry. In her spare time, she enjoys quality time with her family, holidays both at home and abroad and a ''G and T'' or two with friends. 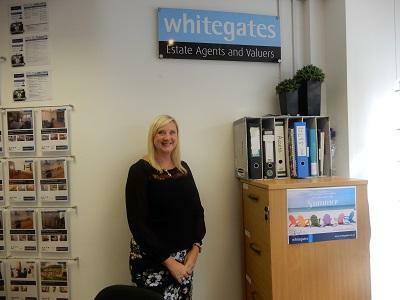 Caroline has been working for Whitegates for over 26 years - she is the longest serving member within all our branches nationwide. Caroline is very much a loyal servant and daily sorts out all the administration involved in the sales process. In her spare time she likes to lunch!. 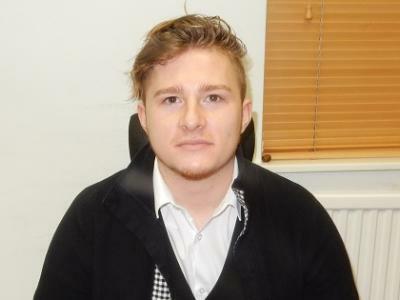 Liam joined the team in October 2018 he previously worked within the property industry accompanying viewings, conducting marketing pictures. He brought these skills to Whitegates and he has been trained to carry out ongoing inventories and final inspections. Liam likes to play football in his spare time as well as seeing friends and family and catching up on all the weekends' sports! Suhail is our newest recruit. Currently in his final year at University studying Accounting & Finance, Suhail joined the team recently as our weekend accompanied viewer for sales, auctions and lettings. Suhail has quickly proven to be a very valuable asset, not only is he smart but also very much a people person, everyone loves him!! Craig joined the team in November 2018. With a BSc (Hons) in Housing, he is an experienced manager with extensive housing management experience. Craig is a hard-working individual who loves and thrives on a challenge. With a wide range of customer care skills, that help to provide amazing service to our customers. Craig loves spending time with his family and walking his dog Pickles.